As a business you send many important e-mails to your customers. 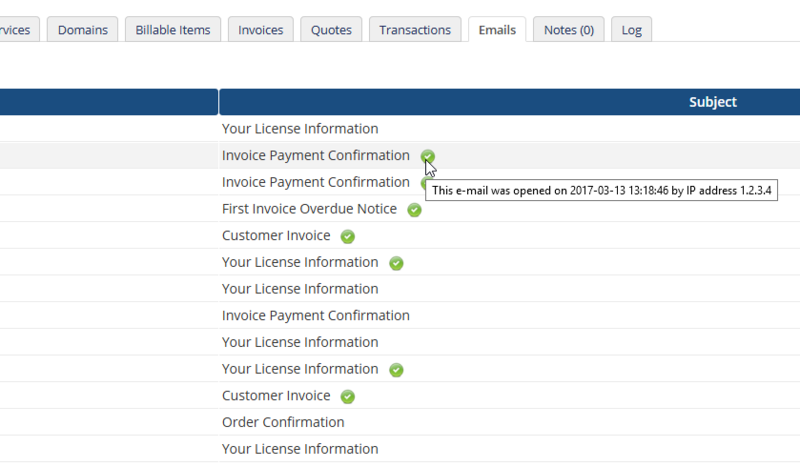 Invoices, renewal notices, quotes, and important announcements are just a few of the many things you may communicate to your customers via e-mail. Wouldn't it be great if you could tell if your customers have read the e-mails you have sent? Now you can! TH E-mail Status allows you to track the e-mails you send, and see which ones have been opened. 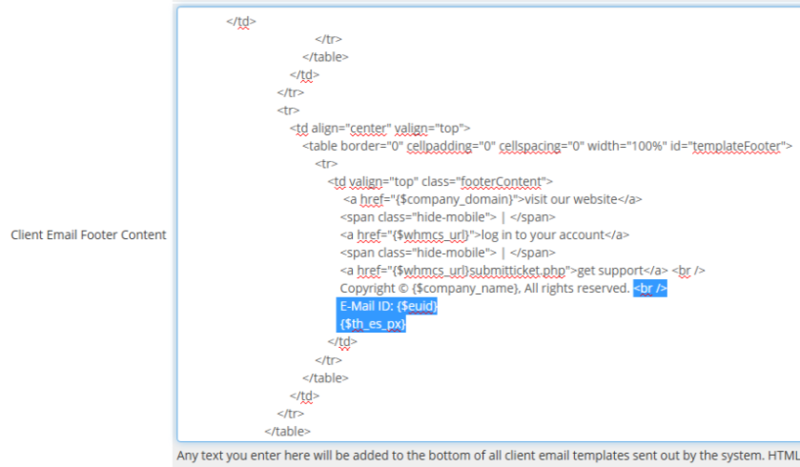 Once this module is activated a Tracking ID and invisible tracking pixel will be added to the footer of all e-mails sent by WHMCS to your customers, and you can see which messages have been read from the WHMCS Administration Area. This module allows you to see which e-mails have been opened from the "Emails" tab on the "Client Profile" page in WHMCS. You can also see the date the e-mail was opened, and the IP address that was logged when the message was viewed. 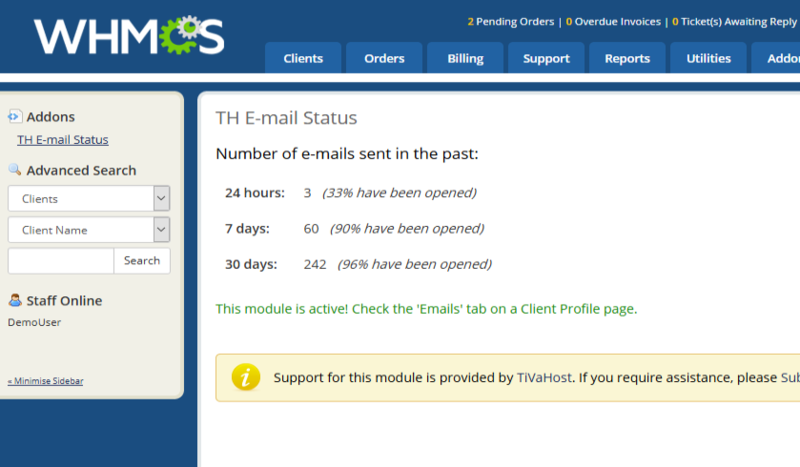 Easily get a quick overview of how many e-mails you are sending, and how many of them are being opened, from the TH E-mail Status summary page. The module is available on an annual license for $20 CAD per year. This addon used to work, however after updating to WHMCS 7.6, PHP 7, iOncube 10 it is giving me an error saying the addon is not compatible. I had to delete it in order to use whmcs. Please release an update, otherwise this is useless. Thank you. This module was great when it worked but unfortunately it no longer dose. Main reason for the review is the support is non-existent. I currently have a ticket that has been open for more than a month now with no reply. We have been using the module for the last couple of months and we are really happy with the support and its usage. I suggest it to every host.